The Anglesey coastline is littered with different types of sea bed; from rocks, reefs and sand banks to mud flats and shingled areas. Our patch, the north west tip of Anglesey, has a vast amount of rock ledges and reef marks that become home to many species from the wrasse family. There are many types of wrasse around the world. In north Wales there are 5 main species – Ballan and Cuckoo the bigger family members, with the smaller corkwings, rock cook and goldsinny holding their own within species hunting circles. With the latter two being classed as a hard find, but species we seem to do fairly well with. These hard fighting fish, off some excellent sport for all angler. 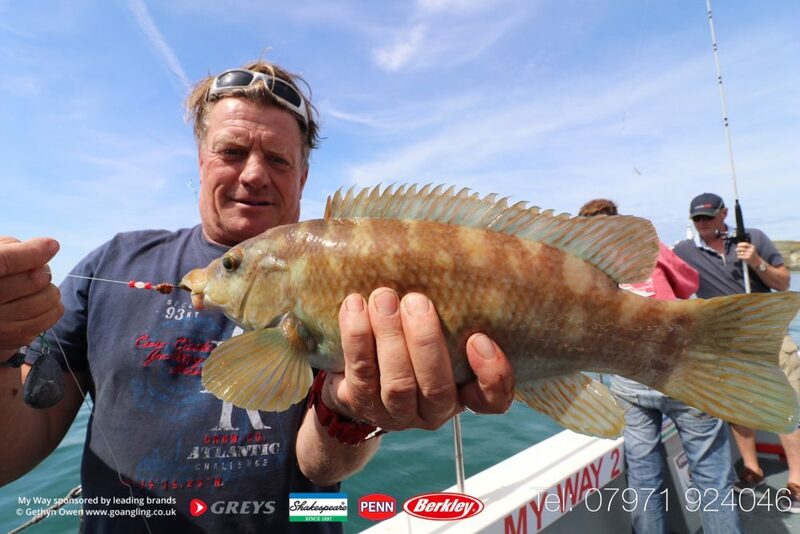 Drifting for wrasse, is a firm favourite with us and a style of fishing that we enjoy on a regular basis. 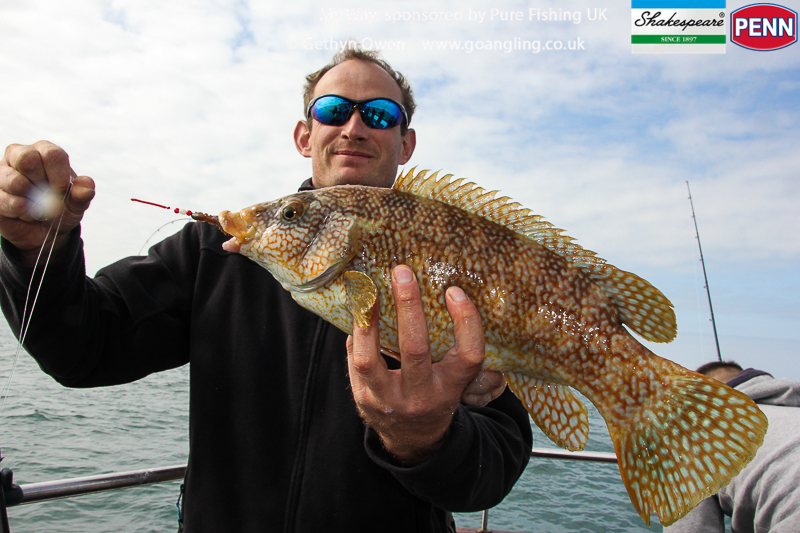 A good time wrasse fishing can be achieved on all of the our tidal range – 23ft right through to a big 34′ . 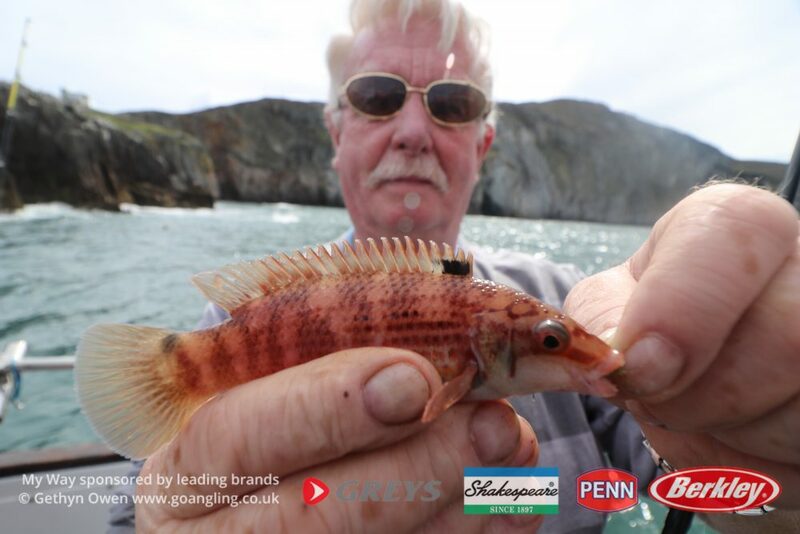 Where as the larger tides may stop us fishing some of the reefs a couple miles off, wrasse can still be found underneath the mountainous cliff tops that over look some of our more productive inshore marks. 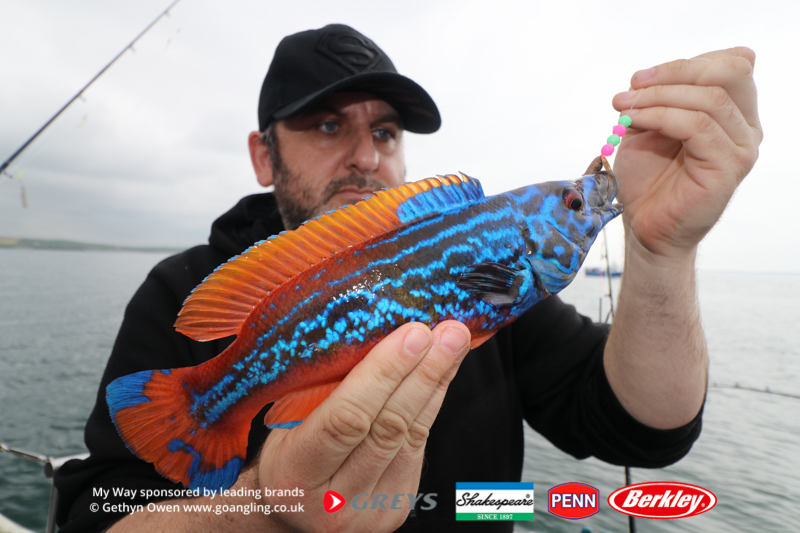 The wrasse fishing tends to come alive from mid April and can last right through until the end of October, when numbers start to decline as the colder weather takes grip. I would suggest that the most productive times from June onwards. Wrasse hit hard and fight hard. As soon as they have your bait in the mouth, it’s off they go, as quick as they can swim to the safety of the nearest kelp bed or rocky crevice. 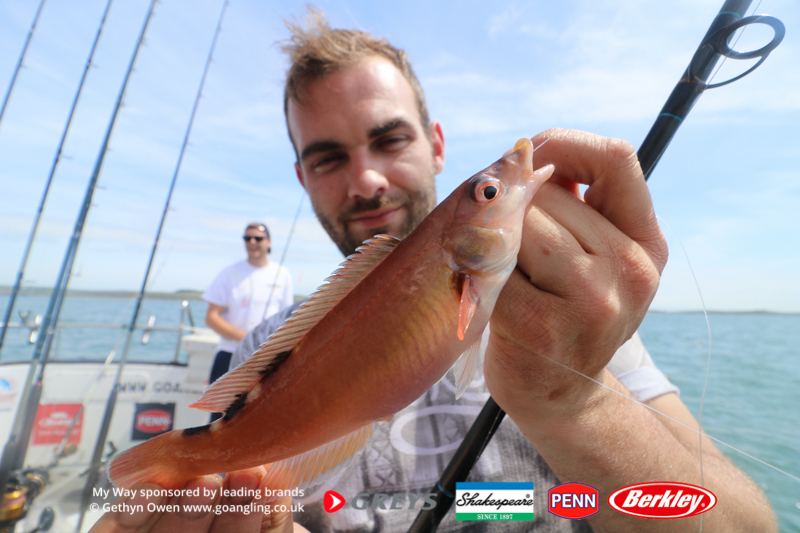 A softer action rod will help cushion the initial attack of the wrasse, and allow you time to hook and play the fish instead of losing it. There is a popular belief that rods need to be in the 20-30lb range with stiff characteristics to bully the fish onto the hook and up to the gunwales. This though is a fallacy, and one that you will find most successful wrasse hunters steering well clear of. 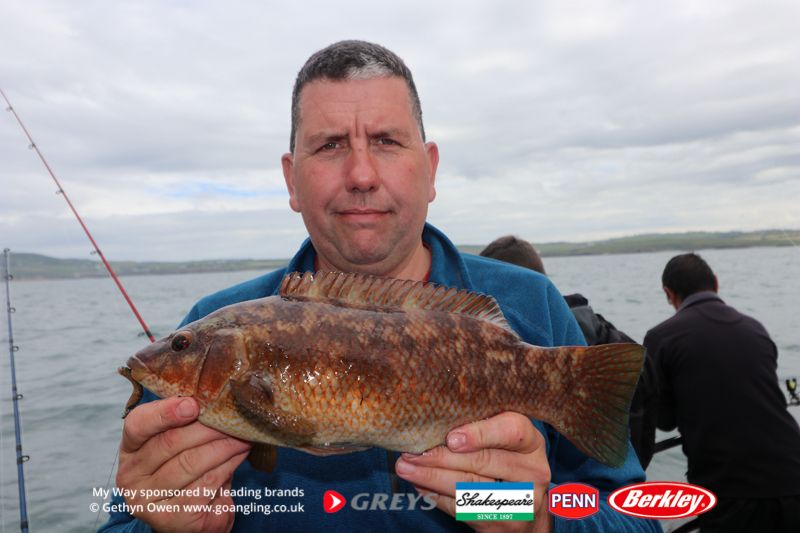 To get the most of your wrasse fishing your rod choice needs to allow for the hard fighting nature of the wrasse family. If worried about your fishing rod, fear not, along with our uptide and downtide rods, for 2011 we have invested in some additional Deluxe Sensor Tip rods along with 4000 sized multipliers loaded with braid to give you the best possible fight from one of the hardest fighting small fish in our waters. This gear is available aboard My Way for your use, free of charge, if required. Rig choice varies depending on how quick the drift is and just how snaggy the bottom you are fishing is. Your rig can be either a three hook paternoster style, with all the hooks safely above the lead, or my preferred method of 3 hooks down below the lead. In both instances though it is advisable to use a rotten bottom, this is a weak link between your lead and rig, so if stuck fast in a crevice your lead will break free allowing you to retrieve the rig, and hopefully your fish. I have found that around the country various attractors beads often help to entice the wrasse to your hooks. Depending on where you fish and the surrounding kelp etc the wrasse can be attracted to – yellow’s, red’s, silver or quite often luminous beads. 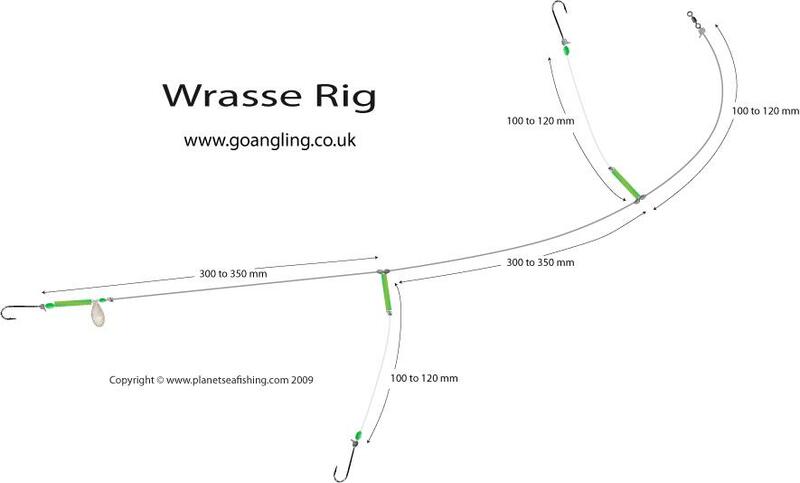 Trial and error with various rig beads will soon help your wrasse fishing improve. The wrasse around Holyhead vary in their eating habits. Some marks will be far more productive using yellow beads, whilst other areas your catches improve with luminous and another particular mark, only floating beads work. Ragworm is the main bait. Either head hooked, or 1inch pieces threaded up the hook, leaving only a small trailing tail. This will help catch ballans, corkwings, goldsinny, rock cooks and also cuckoo. However the cuckoo wrasse is also partial to the belly white slither of mackerel.